Product prices and availability are accurate as of 2019-04-20 10:45:24 UTC and are subject to change. Any price and availability information displayed on http://www.amazon.com/ at the time of purchase will apply to the purchase of this product. 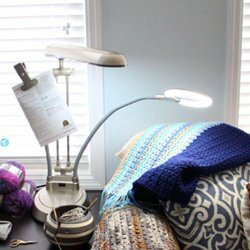 The lighted LED magnifier, convenient outlet and long flexible arm with sturdy clip makes the Ultimate 3-in-1 Craft Lamp a smart, stylish and hardworking addition to any craft or sewing room. 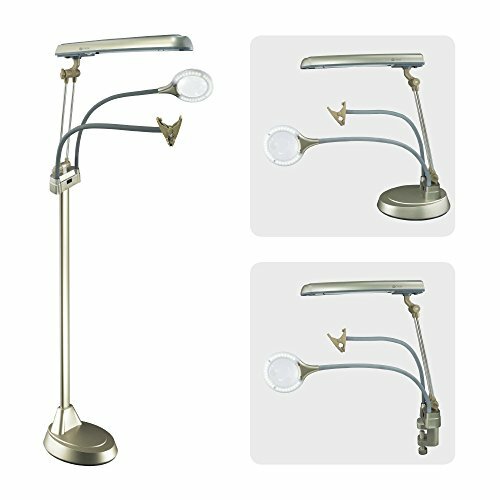 Use as a floor lamp, table lamp or clamp-on lamp - whatever works best in your space. For seeing details clearly, you'll love the 2x optical-grade LED illuminated magnifier with 4x spot viewer. 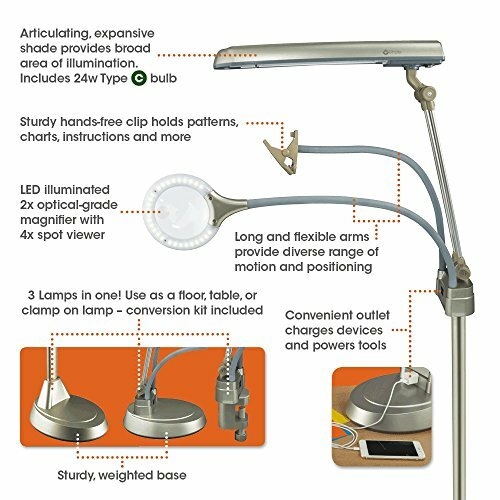 Both the magnifier and sturdy hands-free clip are easily positioned on long, flexible 20 ¾" arms. 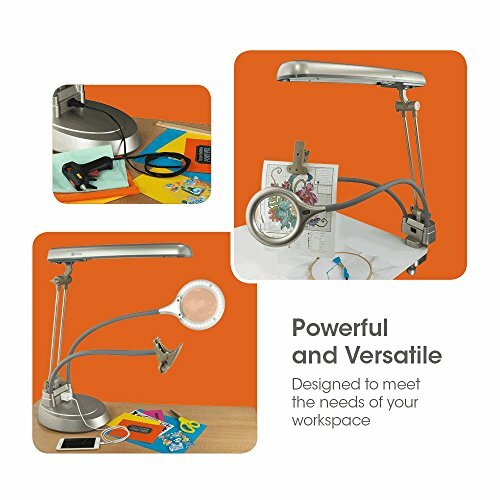 There's even a convenient outlet included with this magnifying lamp so you can fully charge smartphones & tablets or power those craft tools. With OttLite, you'll see every color accurately and detail clearly with reduced glare and eyestrain so you can do what you love, longer. 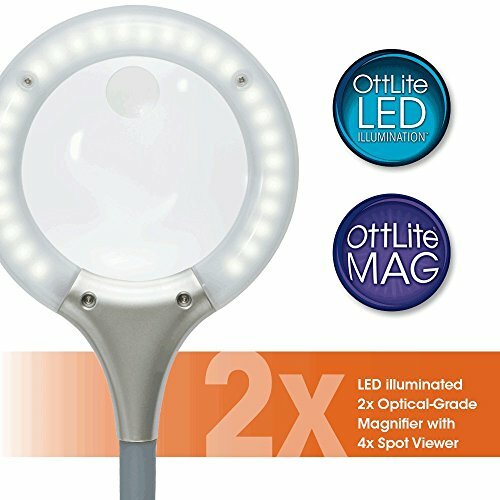 POWERFUL - OttLite 24 watt tube rated to last 10,000 hours included MAGNIFIER - LED illuminated 2X optical-grade magnifier with 4X spot viewer 3 LAMPS IN 1 - Use as a clamp-on, table or floor lamp - conversion kit included CONVENIENT - Outlet built in to charge devices and power hand tools CONFIGURATION - Floor lamp height adjusts from 46 ¾" to 59 ½"; table lamp configuration height adjusts from 13 ¾" to 25"